You’ve seen the commercials for Oberto Beef Jerky featuring athletes like Richard Sherman and Clint Dempsey with Stephen A. Smith as the “Little Voice In Your Stomach.” Whether you like the commercials or not, I’m pretty confident you’ll love this beef jerky. 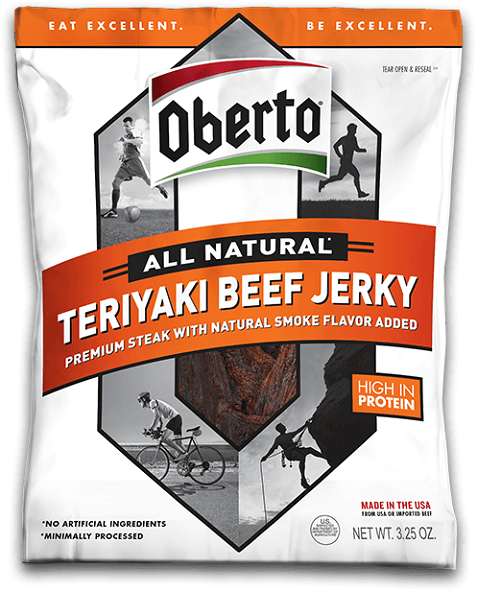 I tried both the original beef jerky and the Teriyaki beef jerky from Oberto and both were delicious. The products are all-natural with no preservatives or artificial flavors and of course they’re packed with protein. There are tons of other flavors so I’m pretty sure you’ll find several that you like.